So we are devoted to enable individual with each skin type to solve the problem. COSRX Low pH Good Morning Gel Cleanser 150ml. What a wonderful COSRX. Gently massage onto a skin and rinse thoroughly with a tepid water. 5 out of 5 stars - COSRX Low pH Good Morning Gel Cleanser 150ml + Free sample !! 366 product ratings366 product ratings - COSRX Low pH Good Morning Gel Cleanser 150ml + Free sample !! YOU ARE BUYING ONE 12 OZ BOTTLE OF CERAVE FOAMING FACIAL CLEANSER FOR NORMAL TO OILY SKIN. Seytu Espuma Facial Limpiadora. Condition is New. Shipped with USPS First Class Package. Intense sensation of freshness. Seytu Facial Cleansing Foam. Intensa sensaciin de frescura. Enriquecida con extractos de aloe vera, moringa y alga. Remueve impuresas de la piel. 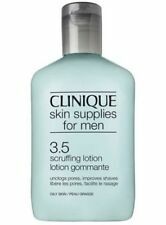 Ideal para la pimpieza diaria del cutis. One of the star products in the Omnilife product family is now available with an improved formula. Contains olive leaf extract, a multi-functional ingredient that improves skin elasticity. Mist on face, neck and hair as needed. Will not disturb makeup. Facial Spray. Safe for all skin types. Size: 4 oz. Keep out of reach of children. Doctor's Best. Gentle, non-irritating. We are not affiliated with Mary Kay Inc. & we are not responsible for their products & allergy reactions. We just own the productos. One of our favorites! 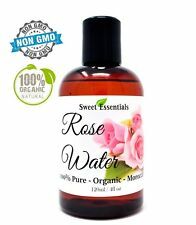 Rosewater is the by-product of rose oil production. When the rose petals are Steam distilled the watery substance (hydrosol) that remains behind after the essential oil is removed still has a rich scent. GLAMGLOW SUPERCLEANSE Cream-To-Foam Cleanser 5 Oz New Technology 100% Authentic. Condition is New. Shipped with USPS First Class Package. ESPUMA LIMPIADORA FACIAL SEYTU OMNILIFE. Condition is New. Shipped with USPS First Class Package. (2) 6 fl oz pump bottle. Expiration: 06/2019. Elemis Soothing Apricot Toner. apricot, saponins, sweet betty flower. 6.7 fl oz, 200 ml. Foamy cream-mousse cleanser removes long-wearing makeup and sunscreens quickly, gently, efficiently. Comforts with soothing botanicals. A great value, too: concentrated formula is long-lasting. 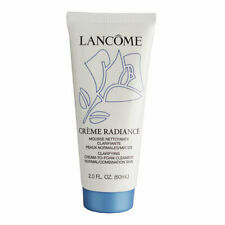 Cream-mousse cleanser gently and effectively rinses away makeup. Trending at $20.40eBay determines this price through a machine learned model of the product's sale prices within the last 90 days. Hibiclens Surgical Scrub Liquid 57532, 32 Ounces, 1 Each, Scented. Hibiclens Surgical Scrub Liquid is designed to be gentle on the skin and wound area, and provides up to 24 hours of skin infection protection. SkinMedica Facial Cleanser 6 oz. Sealed Fresh New in Box. Condition is New. Shipped with USPS First Class Package. MARY KAY BOTANICAL EFFECTS~YOU CHOOSE~ALL SKIN TYPE~CLEANSER~TONER~MOISTURIZER! Size: 5.0 OZ / 150 ml Full Size. Deep Cleansing - Lifts away deep-seated dirt and dead skin cells. Fast Whitening - Whiter skin faster than other cleansers. You may also want to clear your cache/cookies on your browser. Log in using the internet browser in your cellphone; safari, firefox etcetera. 4.5 out of 5 stars - ETUDE HOUSE Wonder Pore Freshner 10 in 1 toner (250ml, 500ml) option + Sample!! 118 product ratings118 product ratings - ETUDE HOUSE Wonder Pore Freshner 10 in 1 toner (250ml, 500ml) option + Sample!! [ Pyunkang Yul ] Essence Toner 200ml / 6.8Fl. Heat up your hands and cover your skin to further enhance the absorption of the essence toner. Contains 91.3% Milk Vetch Root Extract to re-energize and replenish your skin. Trending at $15.92eBay determines this price through a machine learned model of the product's sale prices within the last 90 days. This product contains Asiatic pennywort extract(10%) in highly-enriched powder form and Whitehazel extract, which are the most effective in smoothing your skin. After washing your face, apply appropriate amount on the make-up cotton or hands, and wipe your face along your skin texture, then pat to absorb it. 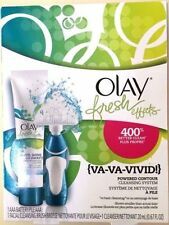 Lather Facial Cleanser into hands and massage into skin. Rinse thoroughly. Soothing and calming, it encourages healthy skin. KEY INGREDIENTS Hydrates and refreshes the skin. Rare Earth Deep Pore Daily Cleanser. Trending at $10.38eBay determines this price through a machine learned model of the product's sale prices within the last 90 days. PCA Facial Wash invigorates the skin as it eliminates, dirt, debris, excess oil and makeup, leaving the skin soft, supple and pH balanced. Ideal for normal, sensitive and rosacea-prone skin, its non-irritating and paraben-free formula gently exfoliates with lactic acid. Brand new. Free shipping. See all my other items! Heimish All Clean Balm (120g). Natural and No Paraben!, Heimish All clean balm 120g, Good for cleansing thick make-up, Hypoallergenic ingredients included for sensitive skin type. Balm Type Cleanser but when it touches water, the texture is changed to oil cleanser such as Sherbet type. We will try our best to accommodate most of your requests that are reasonable. Size: 6.7 oz /200ml. Our guiding dermatologists believe in simple, effective cleansing: soap and water. Soft, non-drying lather cleans gently, rinses easily. In 3 skin-typed formulas. Liquid Facial Soap.